Free Military Aviation Background you can download to make PowerPoint presentations on Military theme, weapon, army, fightersquadron, fighter-bomber, interceptor, armed forces etc The free PowerPoint template is also a good PPT background for aeromodelling presentations. 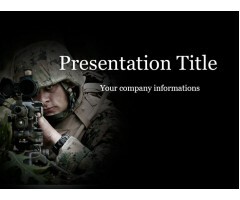 Download Templa..
Military PowerPoint Template is a black template with a soldier which you can use to make an elegant and professional PPT presentation. 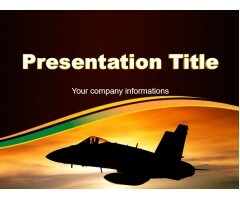 This FREE PowerPoint template is perfect for presentations about wars, armies, weapon, soldiers etc. Ready to use, free download. Download Template .. This template contains the Flag of the State of Israel and the soldier's shadow in the background. 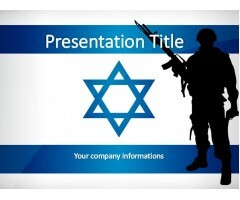 You can use a template for presentations about the Israeli army, military operations, tactics. Download Template ..